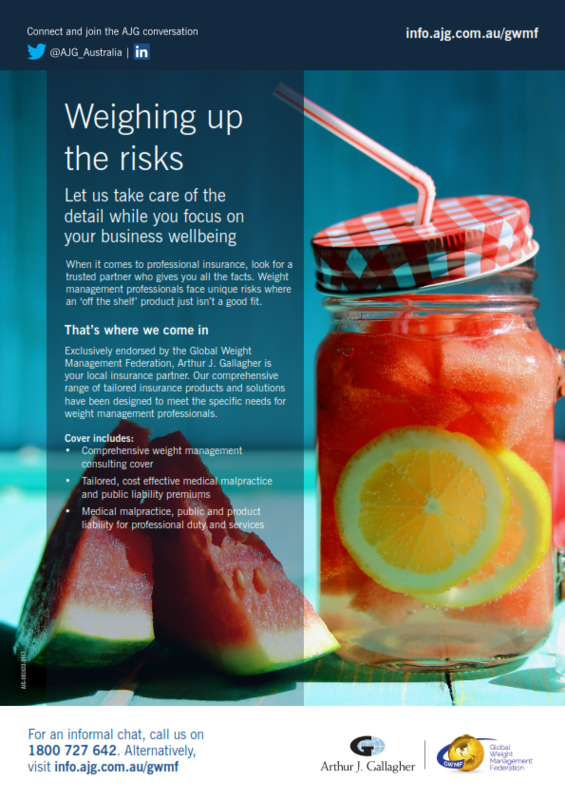 At Global Weight Management Federation, we recognise that weight management is a complex field requiring a multidisciplinary approach and as such we offer insurance that reflects your needs, and the needs of the industry. A major benefit of accessing insurance through Global Weight Management Federation is that you receive heavily discounted insurance under our Association Policy whilst still receiving very comprehensive insurance cover. In fact, our insurance accommodates over 1,200 business activities within Natural Therapies, which will provide you with greater flexibility in accommodating your anticipated activities. Our Natural Therapies Insurance Policy is also unique in that we provide coverage for both Professional Indemnity and Public and Products Liability Insurances on an Occurrence basis – in addition, we are also able to include General Property Insurance within the same product, to provide coverage Worldwide for your property. Become a member of Global Weight Management Federation today and take advantage of many other benefits. Click here to find out more about our membership options. GWMF is not licensed to provide members with financial product advice, however we are happy to refer you to Gallagher, an Australian Financial Services Licensee. We are not representatives of Gallagher, but we are happy to refer any members who wish to obtain insurance products or services through Gallagher, as part of their membership benefits; Gallagher is able to provide members with financial product advice and dealing services that are relevant to your particular objectives, situation and needs.